itS mY LiFe !!!!!!... : What a Year!! "2003 was one of the most important year of life – it was when I got my 1st job. 5 years later comes a more important year and I hope when I write a similar piece next time, it will be a ‘employed’ me who will be writing it. So here’s one to a 9% growth, Sensex > 25K and no recession (in US), Sachin in his usual form and India winning atleast 1 Test down under in 2008!!" These were the words I ended my blog welcoming 2008. So how did the hopes for 2008 turn out? So it seems apart from cricket, nothing has gone right this year – the year which will be remembered for years and years to come. Fortunately, it has come to an end and we can always hope that the sun which rises on 1st January will, in some way or the other have some different kinds of rays – rays of change so as to say. So as we wait for that different ray(s), I go back in time to see how my life turned out in this unforgettable year. The travelling outside Mumbai which had started in January carried on with a visit to Chennai where we landed with the winners prize at the toughest competition at LIBA. April – the trimester end month shifted focus back to the completion of projects and presentations. The highlight was the re-Branding exercise which we did for Indian – complete with print ads, video ads, radio ads etc etc. Start of Summers though I would term shifting to the new house as a highlight of the month. Touching the railway lines, it was a tough time initially to ignore the early wake up calls by the passing trains. It was also start of 2 months of change in the body clock with early to bed, early to rise funda coming in. Moreover, it was IPL time – the super hit tournament provided time pass for 44 non stop evenings. Summers continue. Lots of walking around in the sun and lots of sugarcane juice. All this meant loss of all extra flab. 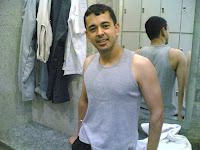 In addition started the real good gymming sessions which continued non-stop for more than 3 months. Back to college after a long break. Start of a new year and new trimester. The trips continued with beautiful malshej ghats on the itinerary this month. In addition, it was SFM pressure – the one of the very few subjects or rather teacher which was able to add value in the 2 years of MBA. The highlight for the country was Abhinav Bindra winning gold at Olympics followed by more medals by pugilists. Personally, the highlight was rappelling – one of the things on the bucket list. The place was kasara this time around. Trimester end month again. Wonder how the time passes quickly. It started with a weeklong trip to Bangalore for placement visits. Meeting some friends after years!! Exams towards the month end. The last exam found us discovering a new place to hang out – Rooftop. It was also followed by a trip to Chandigarh after 5 months. September also marked the collapse of Lehman Brothers – which was the trigger point of a global collapse. Any positive sentiments there in the industry were laid to rest for good. Passing away of Nanu – saying goodbye to the uptight moustache, finger handshake and the indomitable spirit. The month started with a high of IIM Indore competition, Anki getting married and Lolly getting engaged. But ended with one of the worst tragedies in the Indian history – attack on Mumbai and experiencing terror from close quarters. The start itself was a fantastic one – an invite to go to the US of A for a competition. 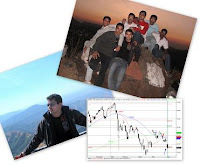 Bull Run which started in Feb 2008, getting set to reach its pinnacle in Feb 2009. December also belongs to the KIRDSS and the placement anxieties. The fall of the job market and the rise of the friendships. And ya it was also the trim end month – any one notice that ?? Hardly.. Looking back at how my wish list of last year was screwed up, I am tempted not to voice my hopes for new year this time around. Just hope that whatever happens, it happens for good. Simply brought back all the memories , Pics bhi mast dale !